October 12th will mark the start of the City of Chicago’s search for a developer for the former site of the Michael Reese Hospital in the city’s Bronzeville neighborhood. The 49-acre site has been owned by the city since 2009, when it was envisioned as a potential Olympic village for the failed Chicago 2016 Olympic bid. Now the city is looking for developers through a four-month long open request for proposals (RFP). The sprawling Michael Reese Hospital first opened in the 1880s with a stated goal of serving anyone, regardless of nationality or race. Throughout its history, the complex included an educational component and was dedicated to charity, research, and education. 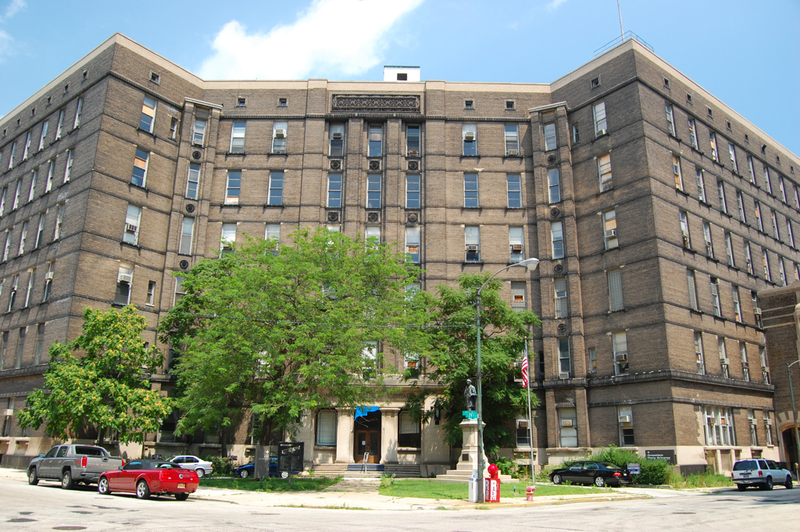 When the hospital was shuttered in 2009, it mostly served the African American community of the near South Side. Before its demolition, starting in 2009, the campus included buildings stretching back over 100 years. It also included a group of structures built starting 1946 based on a plan by Walter Gropius, and designed by multiple Chicago firms. The site also included ornate 19th-century buildings and turn of the century Prairie Style buildings. By 2012 nearly the entire site had been cleared, save for the 72,800-square-foot Singer Pavilion, which will be included in the RFP for redevelopment. The demolition of the hospital was not without complication, though. Due to a radium separation company that was once on the site, the land includes three acres of contaminated radioactive land. The U.S. Environmental Protection Agency (EPA) has mandated that any development will have to remediate the site before construction can begin. The city has noted that money from a Tax Increment Financing District in Bronzeville may be made available to help with to cost of site improvements. According to a September 30th press release from the city, the RFP will require developers to “connect the site with the city’s street grid, generate jobs, and create people-oriented amenities for the entire neighborhood.” That same press release also stated that the projects may involve recreational, residential, institutional, or commercial uses. As with many of the superblock projects in the city, it is expected that the final project will be mixed-use. Developers will also have access to air rights over the 28-acre site directly east of the Reese land, which is owned by the Metropolitan Pier and Exposition Authority (MPEA), owners of Navy Pier and the McCormick Center. “The Michael Reese site has been vacant for nearly ten years. This is a once-in-a-generation opportunity to transform a part of the south side and generate economic opportunities that will reach throughout Chicago,” Mayor Rahm Emanuel said in the city’s press release announcing the RFP. “With projects like this we are investing in the economic growth of our neighborhoods, in this case Bronzeville, building a brighter future block by block and neighborhood by neighborhood.” The RFP will be available Wednesday, October 12th, online and at DPD offices at City Hall, 121 N. LaSalle St. #1000, Chicago, IL. The City of Detroit is working to rehabilitate 100 vacant houses and 257 empty lots in northwest Detroit. The Housing and Redevelopment Department has issued two Requests for Proposals (RFPs) in order to find developers for the sites. One of the RFPs, the Fitzgerald Revitalization Project, targets the 100 houses. The other, a Productive Landscape Development RFP, seeks landscape development options for the 257 lots. Suggested programs for the empty lots include community gardens, orchards, meadows, and space for urban agriculture. Park and green space developed by the RFP will be maintained by the Parks and Recreation Department. Landscape architecture firm Spackman Mossop and Michaels (SMM) worked with the city and the community to outline a framework to develop new productive landscape projects. 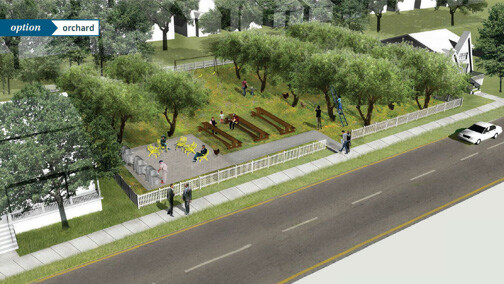 The SMM plan outlines three phases to the landscape redevelopment: Vacant parcels will be converted into a public greenway and neighborhood park that will be redeveloped and maintained by the City and “Neighborhood Hubs,” smaller social spaces maintained in partnership with the community; larger clusters of vacant lots that can be redeveloped into productive landscapes, whether for crop production, orchards, or other uses to be proposed through this Productive Landscape Development RFP; and individual and highly dispersed parcels that can be redeveloped into lower-maintenance meadows through the Housing Developer RFP, or for compelling proposals, could be developed by the Productive Landscape Developer of Development Team. Aside from the parcels in the first category which will remain publicly held, the framework plan allows flexibility. The Housing Rehabilitation RFP focuses on rehabilitating “salvageable, publicly-owned structures.” Houses that are beyond repair will be demolished. The lots left behind will either be transformed into low-maintenance landscapes, or they will be attached to neighboring redeveloped houses. The Fitzgerald Revitalization Project is part of the larger Livernois/McNichols Corridor Revitalization Initiative. The initiative aims to transform northwest Detroit through coordinated projects addressing physical social and economic concerns. The Fitzgerald Revitalization Project represents one quarter square mile of that larger plan. Detroit recently demolished its 10,000 vacant house in front of the press and public. At that event Mayor Mike Duggan commented on 2,000 houses are currently being renovated in the city. Jason Cole, Executive Director Michigan Minority Contractors Association also discussed plans to rehabilitate 1,000 more houses. Even as New Yorkers throng to the beaches in the Rockaways, the remnants from Hurricane Sandy still linger. 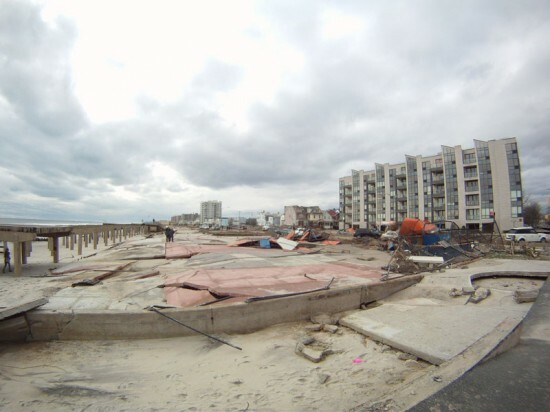 One such vestige is the damaged boardwalk that once stretched from Far Rockaway to Rockaway Park in Queens. The New York City Department of Parks and Recreation with the help of the New York City Economic Development Corporation (NYCEDC) issued a Request for Proposals (RFP) in July seeking designs for the 4.7-mile boardwalk, and now the August 14th deadline is nearing. The RFP calls for a multifaceted approach that incorporates a range of flood protection measures such as seawalls and dunes: "The design shall provide for protective structures that are more resilient and able to withstand storm and tidal forces that may impact the coastline in future years." 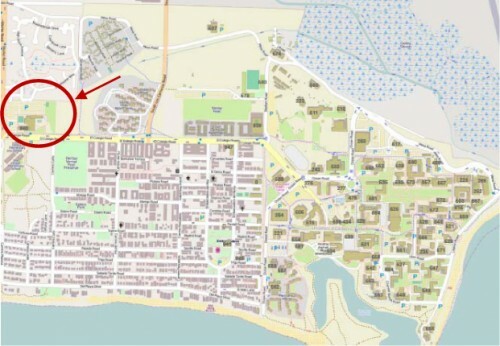 The proposals will focus on the coastal area from roughly Beach 20th to Beach 126th. The Parks Department anticipates that they will select a group of finalists within the next several weeks, and present the designs to the public and Community Board 14 sometime in September. Attention developers! It's almost time to prepare your visions for one of the largest redevelopment projects in Manhattan, the Seward Park Urban Renewal Area (SPURA), now that all the approvals are in. 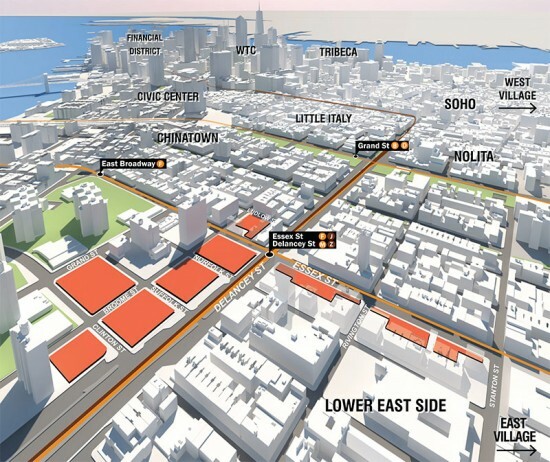 While an official Request for Proposals (RFP) won't be issued until early next year, the NYC Economic Development Corporation is getting a jump start on soliciting interest with a new informational brochure issued today including a panoramic new rendering of the SPURA site, marked in orange. The project calls for up to 1.65 million square feet of mixed-use space built from the ground up on a site covering eight city blocks in the Lower East Side that Robert Moses leveled in the 20th century. The project also calls for a reconstructed Essex Street Market and a new 15,000 square foot park. The notice comes with a warning that the RFP process "will have an aggressive timeline," between January and May 2013. Watch for the official RFP to be released at the NYCEDC website, and get ready to rev those rendering engines, architects! The New York City Economic Development Corporation has announced a Request for Proposals (RFP) for the lease and operation of a cultural facility adjacent the St. George Ferry Terminal on Staten Island. Building 11, one of several buildings that housed the Coast Guard’s lighthouse operations from 1836 to 1966, was recently renovated by the city as part of a campaign to revitalize Staten Island’s North Shore waterfront. The RFP calls for a tenant who will provide “cultural programming in the form of a museum, exhibition, gallery, performance space, or community facility” in hope of attracting some of the 2 million tourists who ride the ferry each year to visit the Island’s cultural attractions (rather than jumping onto the next ferry back to Manhattan). An initial lease of one and a half years will be offered to the winning proposal with renewal options for up to four years. The EDC will offer temporary programming during the RFP process. Council Member Debi Rose wrote in a statement, “This formerly underutilized gem will now serve as a draw to bring people off the ferry and also provide an opportunity for all of our cultural groups to showcase their work.” In 2005, the NYCEDC sought to develop retail and housing in the area surrounding the Coast Guard buildings, citing the National Lighthouse Museum as a future tenant of Buildings 10 and 11. Plans for the Museum stalled due to fundraising issues. The mixed-use development, Lighthouse Point, was approved by the city early this year and will include 45,000 square feet of retail space and 172 residences. The National Lighthouse Museum plans to submit a proposal for Building 11. Yes, things are slow these days, so we're looking at every RFP we can. One of the biggest in Southern California is for the new San Joaquin Apartments at the University of California Santa Barbara (UCSB), which will include two buildings housing 1,000 students as well as a revitalized neighborhood center. The RFP was issued in June, and we just got our hands on the shortlist, which was posted on August 26. The winner should be announced very shortly. Below are the finalists, including some very impressive names. AC Martin; Carrier Johnson + CULTURE; David Baker + Partners and Brooks + Scarpa Architects; Hornberger + Worstell and Lake Flato; KieranTimberlake; Koning Eizenberg Architecture; M+M Creative Studio; LMS Architects and DesignARC; Machado and Silvetti Associates and Cearnal Adrulaitis; Moore Ruble Yudell Architects & Planners; RBB Architects Inc. and Frederick Fisher and Partners Architects; Skidmore, Owings & Merrill; Stanley Saitowitz/ Natoma Architects Inc.; STUDIOS Architecture; Wolf Architecture. After attending the recent Alt Build Expo in Santa Monica it became clear to us at AN that the aging Santa Monica Civic Auditorium, a Decorative Modernist structure designed by Welton Becket back in 1958, was in serious need of an update. 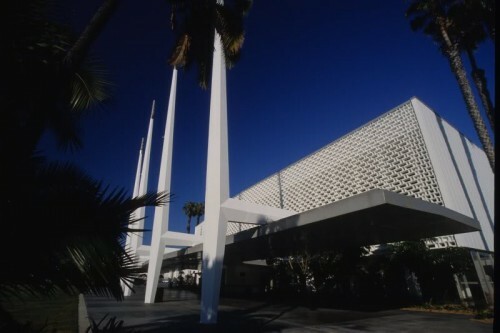 (Becket, by the way, designed the Capitol Records Building, the Dorothy Chandler Pavilion, and a good deal more of mid-Century Los Angeles.) Well it looks like our wish is coming true: On May 26 the Santa Monica City Council voted to approve a $47 million remodel and seismic retrofit of the auditorium, using Santa Monica Redevelopment Agency funds (the vote to allocate funds was sped up because such monies may soon be frozen once the state budget is passed). No firm has been chosen, but we will keep our eyes peeled on the RFP, which was posted here last month. "They anticipate a design build contract," said Santa Monica spokesperson Carol Lemlein, who noted that perspective teams will be made up of architects, contractors, engineers, and preservation experts. 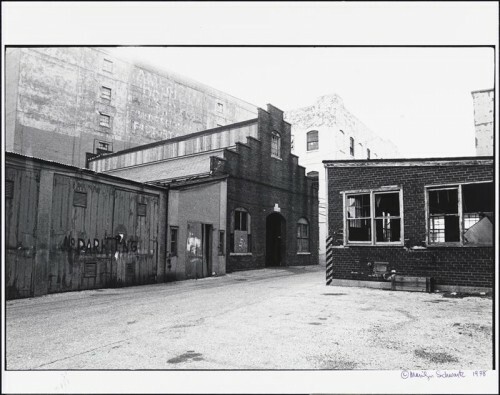 Having lost its political fight to preserve most of Admiral's Row in the Brooklyn Navy Yard, the Municipal Art Society has hit upon a novel idea and is now focusing its energy on the developers who are vying to redevelop the old naval officers’ houses into a grocery store. The RFP was recently released for the project, and through that process, MAS is hoping to persuade prospective builders where the Army National Guard and the city were not. "We hope that our experience and information will be helpful to responders looking to create an exciting new development at Admiral’s Row that combines both new construction and the preservation of the incredibly-significant historic buildings," Melissa Baldock, a preservation fellow at the MAS, recently wrote on the group's blog. The effort seems like fighting a nuclear submarine with cannon balls, but who knows. In these cash-strapped times, a developer might look favorably upon some pro-bono design work and the imprimatur of one of the city's leading civic groups.